When it comes to picking choices in tech, making the wrong decision on formats, manufacturer, or version can set you back in terms of dollars, leave you with rapidly obsoleted hardware, or find you investing time in something that provides you with non-optimal returns. As an early adopter, you have a higher tolerance for risk and you take bets on product direction before the rest of the population may agree with you, and your choice to move one direction can act as the initial spark in a good situation, or as the canary in the coal mine, in a negative one. This thought crossed my mind as we saw the news yesterday to Sony's recent struggles, largely tied to their ongoing challenges hawking Blu-ray. As Sony was quoted in the Verge, "demand for physical media" was "contracting faster than anticipated," and they were left holding the bag. But this really shouldn't have come as a surprise. More than three years ago, I said I was through with physical media, and I haven't looked back. Between streaming video and audio services like Netflix, Spotify and Google Music, or eBooks from Google Play and Amazon, the Web has taken over where physical media couldn't compete. And let's be honest for you Netflix users? How many of you still get the DVDs? Netflix is a perfect example of a company that saw the transition coming and pivoted to where the trend was going. Now they're overwhelmingly known for their streaming services instead the traditional red envelopes. The last five years have seen pronounced trends that in hindsight are impossible to ignore, from the rise of smartphones and debut of functional, popular, tablets, and the integration of social networking in all aspects of society. You can debate the ebbs and flows of financials for some of the larger social networking sites, but you can't deny their immediate impact. On the tablet and smartphone side, there were two obvious trends that people could recognize right away if they kept an open mind. The first was that the iPad was going to be a hit. The second was that Android, due to its partner-friendly approach and rapid iteration, was the horse to bet on. Without pulling an +MG Siegler and calling this post "I was right. Let me tell you why...", I'll highlight a few bits from both topics. Immediately reacting to the iPad's introduction in January 2010, I didn't go over the moon and claim the new consumer tablet would solve world hunger and eliminate illnesses in our lifetime. But I did see it for exactly what it was, concluding, "They are going to sell a ton of these machines, and you'll see them in places you never expected. Casual computing and content consumption are going to drive it." That's exactly what happened, with the hindsight of four-plus years. The iPad may actually have sold too quickly and been too successful a product to keep Apple beating expectations, but it found a niche between the smartphone and the laptop, and set the stage for the tablet being the first computing experience for my young kids. Companies that bet against the iPad (or tablets in general) have found themselves swimming upstream, defending an antiquated platform and in some cases, extracting revenue from fatigued customers, whose numbers are decreasing. While Apple was pushing the iPad and doing tremendously well, iOS wasn't the smartphone OS I ended up enjoying, for a whole bunch of reasons. Six months into the iPad's lifespan, I turned in my iPhone and turned to Android, saying at the time, "a bet on Android is a bet on the future. I am betting on an ecosystem and an application environment that encourages best of breed developers to move their product to a growing population of smartphones, and I expect to reap the benefits. " There's no question in my mind now that was the right move - and you have to keep in mind that was more than a year before I entertained the opportunity of joining Google myself. I saw the trendlines that pointed to Android being the quantity leader, with greater partnerships and a fast-growing developer ecosystem that brought top apps to the hundreds of millions of users, and that's exactly what happened. 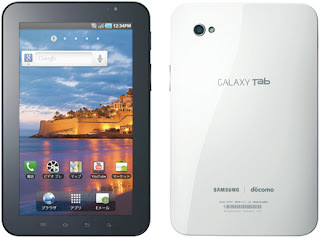 Soon enough, the first generation iPads I bought aged, and another trend emerged - of the small form factor tablet, starting with the Samsung Galaxy Tab, which I preferred, and later the Nexus 7. This 6-7 inch form factor was a perfect fit for customers, as you could see with the rise of the Galaxy Note, ever larger standard smartphone sizes and the rise of the Kindle Fire and Nexus 7 line. Even Apple capitulated eventually with their own iPad Mini, although they're not usually the ones to admit they were late to an idea. So what am I getting at? I'm not here to tell you I have a crystal ball that tells the future. But you can see, with your own eyes and experiences, what the trends are going to be, and being stubborn because something has always worked one way doesn't mean it's a good idea. You have to evolve as a user, as a developer, as a businessperson, or as a company, to make sure you're impacting that change and choosing wisely. Or you'll end up with a home full of VHS tapes. Don't forget to Rewind. Usual Disclosures: I work at Google which is behind the Android operating system and is a partner or competitor with many of the companies in this post, like Samsung, Apple, Amazon, Netflix, Spotify and more.